Education Minister Hekia Parata today welcomed 38 Mandarin Language Assistants from China to New Zealand at Parliament. “This is a rich resource given that China is our number one export destination and it is important that we prepare our young people to play a part in New Zealand’s economic future,” says Ms Parata. Suddenly I understand John Key’s / the National Party’s otherwise inexplicable push for a new flag. I’d love to see some broader analysis of this FTA. 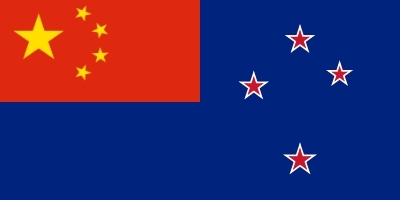 I’ve read that it gives special visa rights for up to 20000 Chinese nationals to work here, they are able to circumvent NZ supply chains for materials and equipment when doing business in NZ and they can take their NZ made product away without exchanging currency. Yes, it would indeed be interesting. Did you see the post below regarding the Chicom’s willingness to supply arms to Hawaiian separatists? Disturbing to say the least. Are we going to insist that all communications with Chine should be in Maori??? Or should, because of its economic importance to New Zealand, Mandarin be compulsory in our Schools.